Sports football betting appPaul Boehnke : Bach and His Teachers. 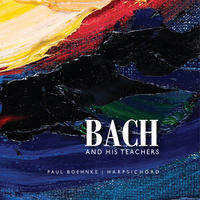 Bach and His Teachers is an engaging collection of solo harpsichord works by Johann Sebastian Bach, Dietrich Buxtehude, Johann Adam Reincken, and Georg Böhm. From Bach's well-loved Italian Concerto and Toccata in D to lesser known works by the generation of musicians who came before, this album shows the influences on one of history's greatest composers. Performed with Baroque performance practices and unequal temperament on a copy of an instrument of one of JS Bach's favorite builders (Mietke), this music lives and breathes as if it were composed today. Get a glimpse of Bach and of his musical experiences growing up. License Heartfelt music for harpsichord by Paul Boehnke for your project. Play the music of Paul Boehnke in your restaurant or store.